Here are the 4 classes and 12 sub-classes that are available in the CBT. Each class has its unique style and different type of dynamic action. It has been 8 months since the second closed beta test, and the final closed beta test for Lost Ark started on May 23rd. 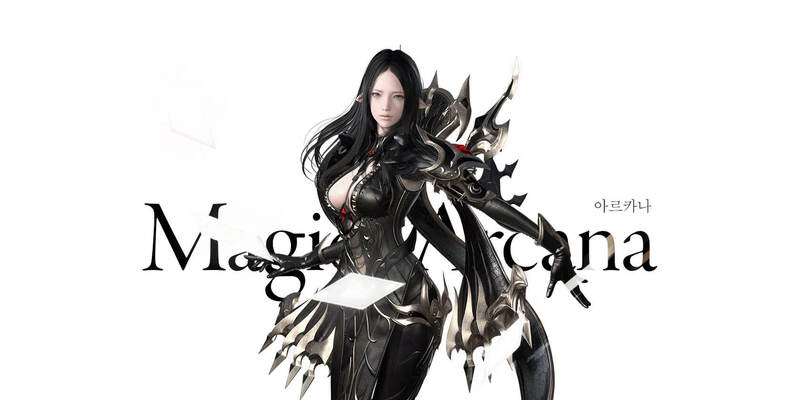 There will be more content and systems available in the final CBT, but the most important part will be your character. The Summoner, the Arcana, and the Destroyer were added in the last CBT, and the Force Master and the Hawkeye were added in this CBT. The Force Master is a mid to close-ranged class that has quick moves and mobility, and the Hawkeye is a ranged class that can deal massive damage from a distance. Below are the 4 classes and 12 sub-classes that are available in the CBT. 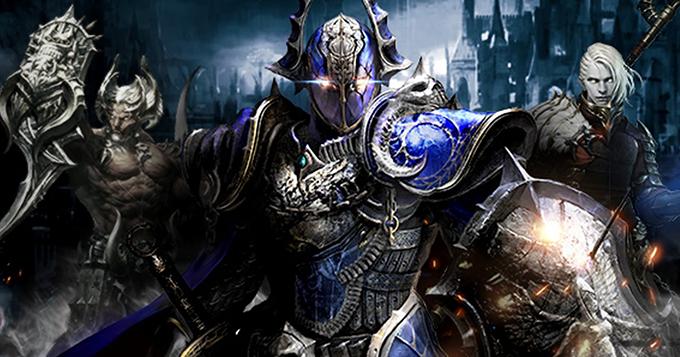 Each class has its unique style and different type of dynamic action. 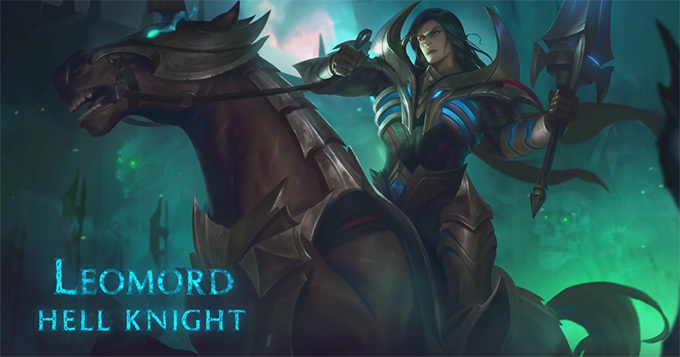 The Warlord is a sub-class specialized in protecting allies with his high defense and survivability. The Warlord uses a giant shield for defense, and uses a gunlance to deal damage. The Warlord can also protect his party members by aggroing the enemies, and will be a great tank in dungeons and during raids. His Identity is Defense/Protection Form. 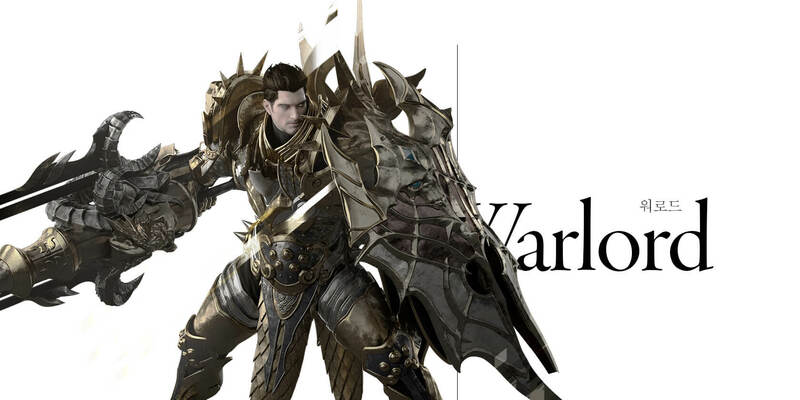 In the Defense Form, the Warlord will be slowed but can defend himself from powerful enemy attacks using his shield. In the Protection Form, the Warlord can sacrifice himself and take the damage that his party members would take. 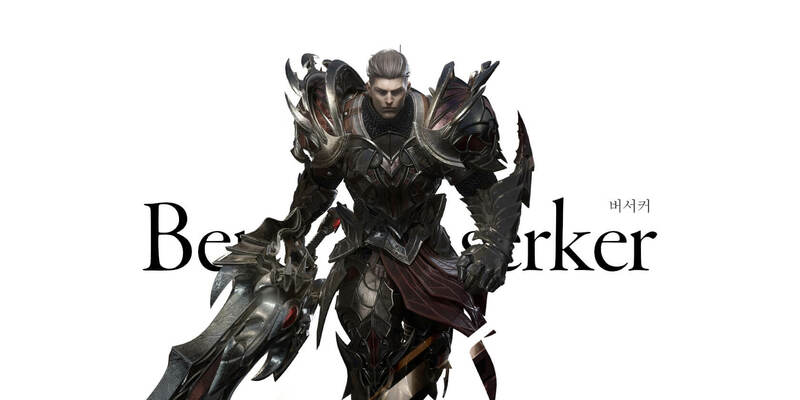 The Berserker is a melee class that uses a large two-handed sword. His stats are well balanced between attack and defense. When he enters Berserk mode, he can buff himself up to deal massive damage in a short amount of time. When a Berserker in Berserk mode attacks using his Identity, he will gain a Rage meter. When the Rage meter is full, the Berserker will get attack and movement speed buffs and will be able to use more skills. 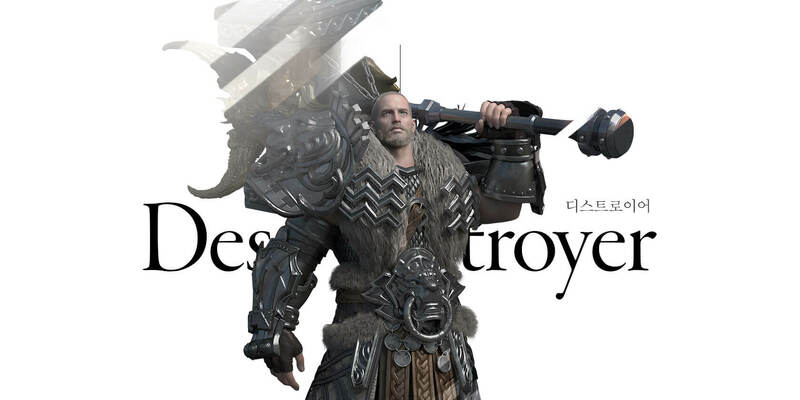 The Destroyer uses a Gravity Hammer and has low movement speed. His animations might be slow, but he can finish off enemies with a single powerful blow. With his Identity, Gravity Control, the Destroyer can obtain a Gravity Core from enemy attacks and can use a skill called Gravity Discharge. When he uses Gravity Discharge, the Gravity Core will turn into a Gravity meter. When the Gravity meter is full, the Destroyer can give himself some buffs while making nearby enemies slower. The Battle Master uses her martial arts skills and air combos to take down enemies. She can use dynamic skills and combos to kill her enemies and quickly escape. Her Identity, Elemental Bubble, will give her a special gauge called a “Bubble”. Using the Bubbles, the Battle Master can deliver a powerful blow to finish off enemies. You can spend a different number of Bubbles to make the powerful blow stronger. 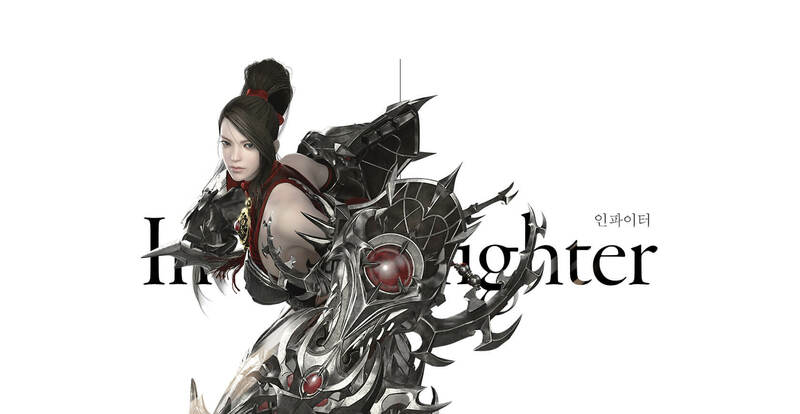 The Infighter can deal colossal damage to enemies using her Heavy Gauntlet. Her stats are well-balanced, and she can safely engage in battle for a long time. The Infighter has two types of gauges, the “Energy” gauge and the “Impact” gauge. When the Infighter uses Energy skills, the Energy gauge will decrease and the Impact gauge will increase. When she uses Impact skills, the Impact gauge will decrease and the Energy gauge will increase. You will have to use both types of skills to stay in the fight longer. 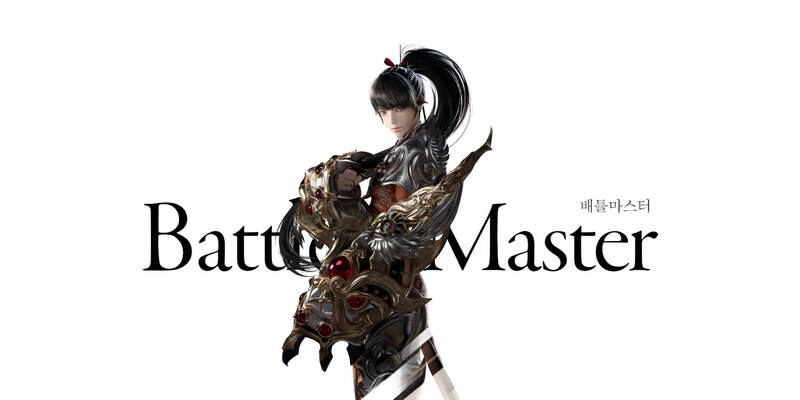 The Soul Master was newly added in the final CBT. 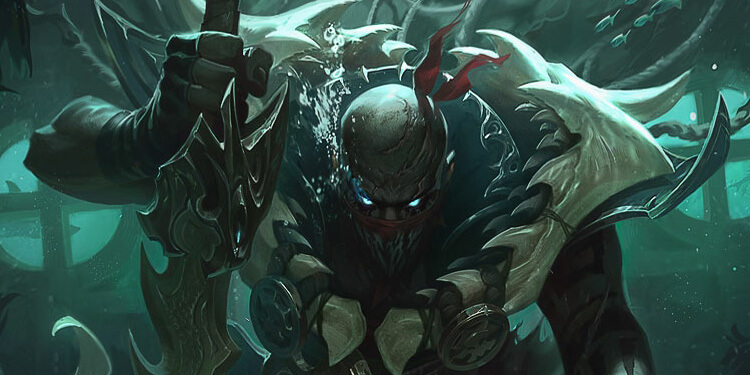 The Soul Master can use close-ranged, mid-ranged, and long ranged attacks. 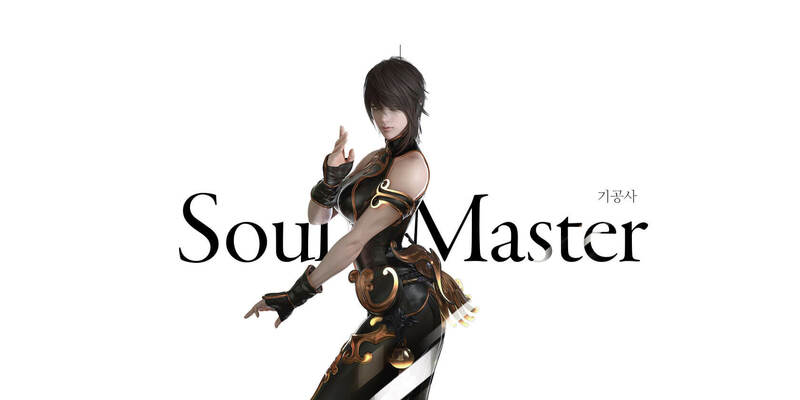 The Soul Master uses her hands for melee attacks, and the Force for ranged attacks. 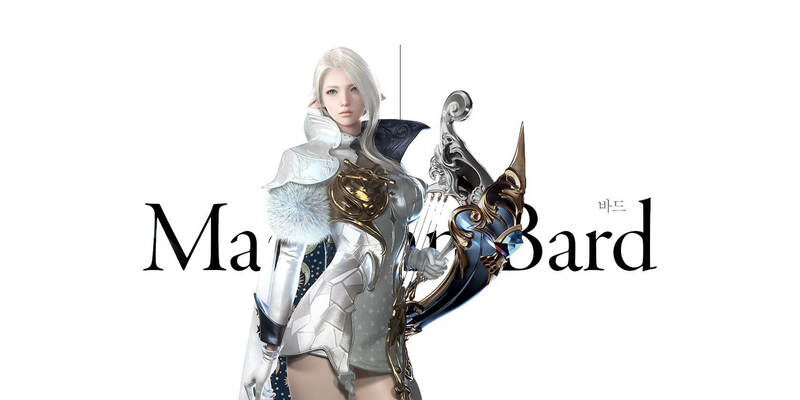 She is capable of all types of combat, and can deal burst damage using her Identity. The Soul Master’s Identity, Adamantine Force, can be accumulated and can be used to enhance the Soul Master’s power. Adamantine Force can be enhanced up to Level 3, and will require some cooldown to use again after Level 3. 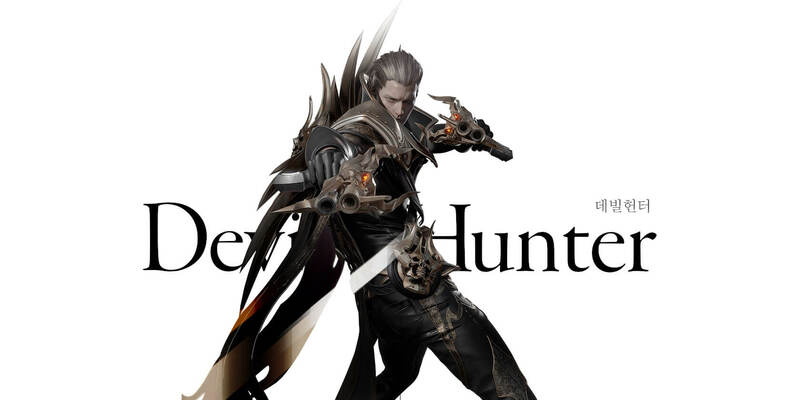 The Devil Hunter uses three types of guns: a shotgun, double handguns, and a rifle. The Devil Hunter can move quickly while dealing damage from a distance. The Devil Hunter can switch among the three guns at anytime, and each gun has its own unique traits. The Devil Hunter can switch to another gun depending on the situation. The handgun can attack a wide area quickly with some dynamic action, and the shotgun can deal high damage to nearby enemies. The rifle allows the Devil Hunter to safely deal damage to far away enemies. The skillset also changes in accordance with the type of gun, so the player should be experienced enough to play the Devil Hunter well. 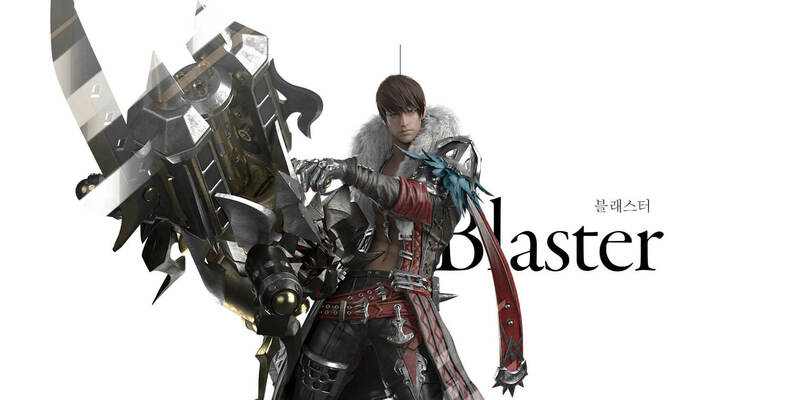 The Blaster is a sub-class specialized in massive damage and AoE skills. The Blaster uses a huge mechanical Launcher and heavy firearms. The Blaster does not have the Hunter class’ signature fast moves because he wears heavy armor, but has the highest defense among ranged classes. The Blaster’s Identity, Firing Mode, allows him to fill his Fire gauge when his skills hit. When he has enough Fire gauge built up, his attack power will increase depending on how full his gauge is. He can also summon a gigantic firearm, which is immobile, and deal deadly damage to enemies. 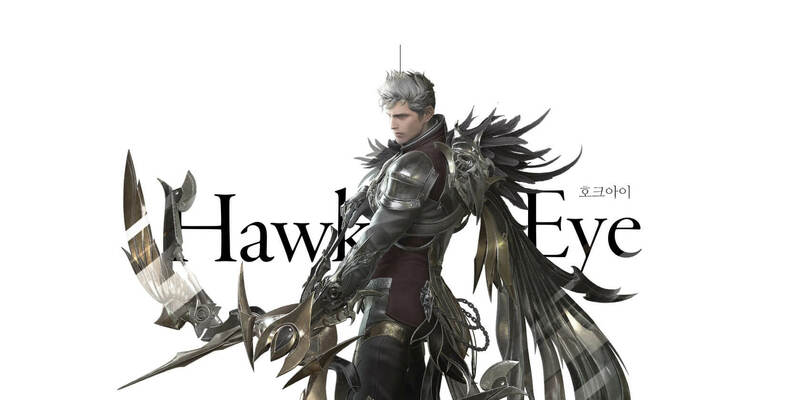 The Hawkeye is a newly-added class in the final CBT. He uses arrows and a mechanical bow to swiftly take down enemies from afar. The Hawkeye’s biggest strength is survivability. He has a lot of useful mobility skills that add to his survivability, and can safely engage in battles for a long time. Also, he can inflict crowd control on enemies or get stealth kills as well. The Hawkeye’s Identity is Silver Hawk. When the Hawkeye has built up enough of his Hawk gauge, he will be able to summon the Silver Hawk. The Silver Hawk will automatically attack enemies nearby, and will use its own skills on them. The Bard is a support sub-class. Along with attack skills, the Bard has skills that can heal or buff allies. The Bard herself cannot deal much damage, but she is a must-have member of a party especially when a party is going for a challenging raid. Her Identity also allows her to heal or buff allies. In order to use her Identity, she must gain Serenade Bubbles by attacking enemies. The Summoner can summon spirits that can be off-DPS and tanks. The Summoner herself has some powerful skills, but as the Mage class has low HP, the Summoner must use the spirits during battles. The Summoner’s Identity is “Summon Ancient Spirit”, which the Summoner uses to summon powerful ancient spirits through the Spirit Orbs. The Ancient Spirits deal more damage than the regular spirits do, and each Ancient Spirit has its own unique skills. Unlike other Mage sub-classes, the Arcana is a mid-ranged class with fast combos and swift movement. The Arcana stacks her cards on enemies, and uses the Ruin skill to make the card stacks explode to deal burst damage. The combat feels more like a striker than a mage. The Arcana’s Identity is “Card Deck”. When her Card gauge is full, she draws a random card from her deck and activates the card’s buff. There are many cards with different buffs in the deck, but she can only draw a random card. Which Class should I play? 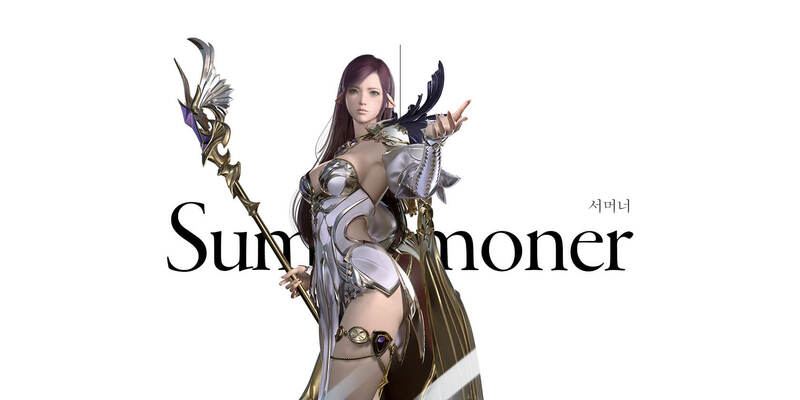 Details of all 12 sub-classes in Lost Ark Final CBT. Written by Jae Kuk “Lucks” Oh, Kyung Yun “Yullie” Park on Inven Global. Lost Ark Classes. Lost Ark official site.